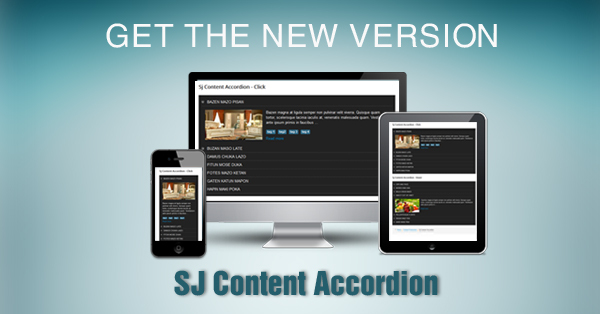 SJ Content Accordion helps you show slide of articles like as the Accordion or Concertina. This is a module which receives a lot of good feedback from users, it motivates us to improve products, so we can offer the best choice to the users. With this new version, your module not only responding on all devices but also improving some functions to work better.